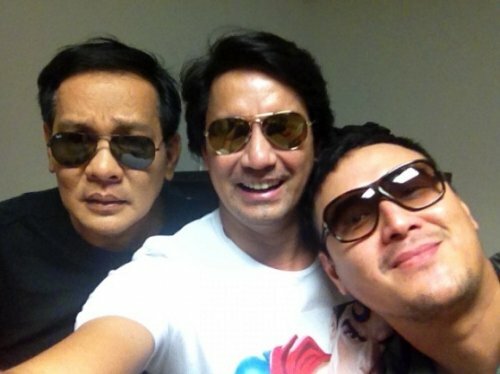 'Palibhasa Tanghali' Led by Richard Gomez, Joey Marquez, and John Estrada will be ABS-CBN's Newest Noontime Show?! Rumors are now circulating that the newest Kapamilya returnees Richard Gomez and Joey Marquez with John Estrada will be having their own noontime show in ABS-CBN. And this is entitled as "Palibhasa Tanghali" which is derived from their all time hit sitcom "Palibhasa Lalake!" According to reports, since the current noontime show of the Kapamilya network "It's Showtime" is consistently beaten by its rival "Eat Bulaga," it will be replaced by "Palibhasa Tanghali." But the 'madlang people' needs not to worry because "It's Showtime" will return on its original timeslot. If this will prospher, the trio of Richard, Joey, and John will directly pit the trio of Tito, Vic, and Joey!